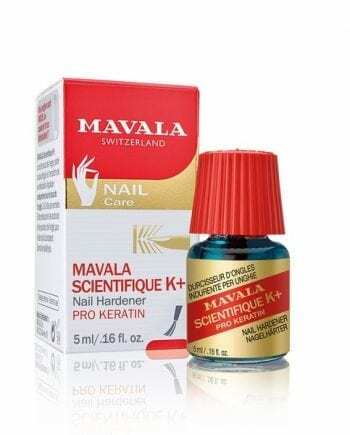 Mavala Scientifique K+ Nail Hardener. 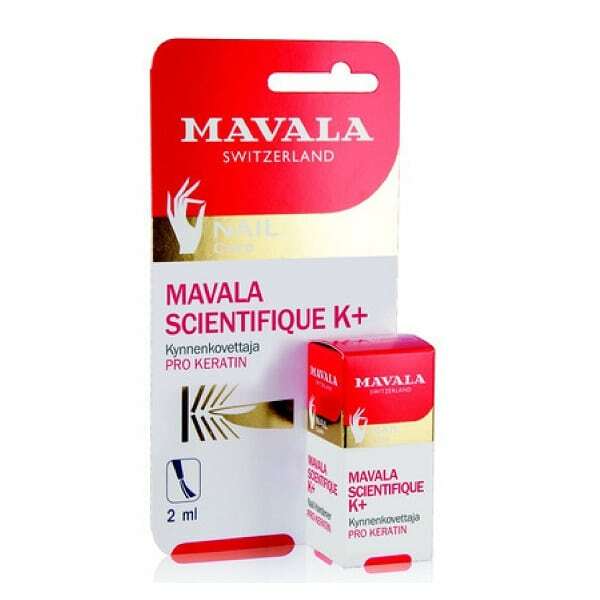 A new penetrating nail hardener, formulated without formaldehyde, Mavala Scientifique K+ hardens nail tips and prevents flaking. With added keratin and natural crystal resin tears from the pistachio tree, it helps improve the cohesion of the keratin fibres and makes nails more resistant to breaking. How to use: Remove polish or manicure. Apply to clean nails from the centre to the tip. Leave to penetrate for one minute by holding hands downwards. Follow with a base coat and nail polish if desired. Use two to three times a week.